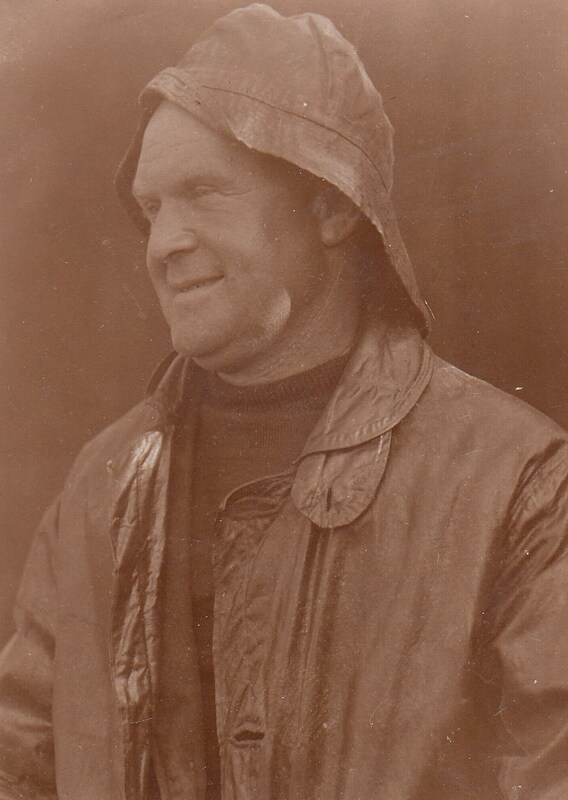 Portrait of Cockersands Lighthouse Keeper Thomas Parkinson, father of Bob Parkinson. Thomas is wearing a sowester. Bob Parkinson’s oral history is in the archive.